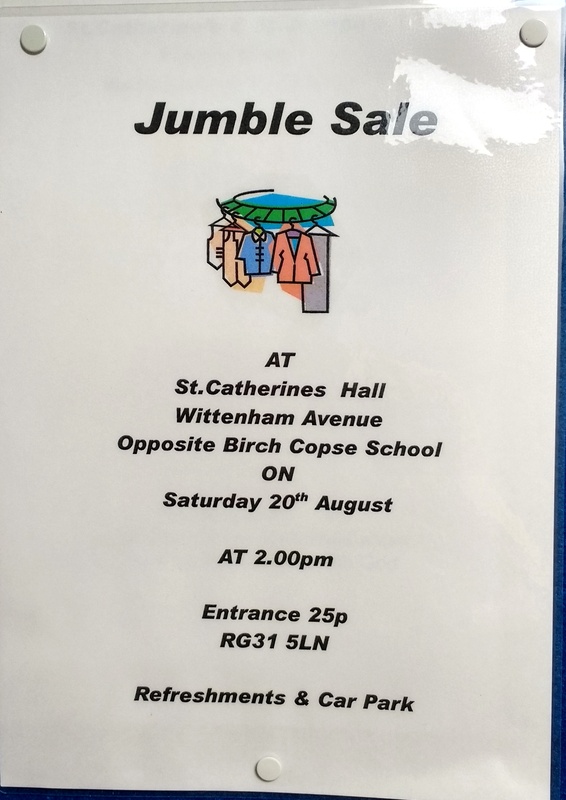 There is a Jumble Sale in St Catherine’s Hall on Saturday 20th August, opening at 2:00 pm. Entrance 25p. Refreshments and car parking are available.